Last week, two news outlets outside of Illinois reported that Cook County Circuit Court Judge Stephen Goebel had dismissed eavesdropping charges filed against Annabel Melongo on the grounds that the controversial Illinois Eavesdropping Act is unconstitutional. Melongo spent about 20 months in Cook County Jail while awaiting trial on charges that she recorded a few routine phone conversations with a court reporter named Pamela Taylor and uploaded them to a website. Click here to listen to the recordings. According to a letter I received yesterday, Cook County State's Attorney Anita Alvarez is appealing Judge Goebel's decision. The information came in response to a FOIA request I submitted for records associated with the case. What else has been going on with the Melongo case? An Illinois judge ruled last week that the state’s eavesdropping law – one of the broadest restrictions on audio recording in the nation – is unconstitutional. The decision granted a request for dismissal made by Annabel K. Melongo, a 39-year old woman who faced criminal charges under the Illinois Eavesdropping Act. The controversial law criminalizes the audio recording of any communication without the consent of all parties involved, regardless of whether the conversation was intended to be private. Melongo, who is representing herself in court, recorded three phone calls with a clerk at the Cook County Court Reporter’s office in Illinois without consent and posted them on her watchdog website in 2010, incurring six charges of eavesdropping. ...Unable to post bail for a bond initially set at $500,000 and later reduced to $300,000, Melongo spent about 20 months in a Cook County jail and another four months under house arrest. She said the punishment made her "the defendant with the harshest punishment for the eavesdropping law in Cook County, if not in Illinois." In other words, Ms. Melongo -- an immigrant without a law degree who speaks imperfect English (I've talked with her) -- just handed Cook County State's Attorney Anita Alvarez a stinging defeat. Heads up, Lori Yokoyama and Christopher Cooper, who reportedly are going after Alvarez's job this November. How about the media? Are they paying attention? Another judge has ruled the Illinois Eavesdropping Law unconstitutional. The decision came down last week in favor of Annabel Melongo of Chicago who recorded her phone calls with a government official. The Reporters Committee for Freedom of the Press says Melongo had spent over a year and half in jail on the eavesdropping charges because she couldn't afford bail. If any Illinois media -- print, broadcast, blogs -- have reported the story, I can't find the links. 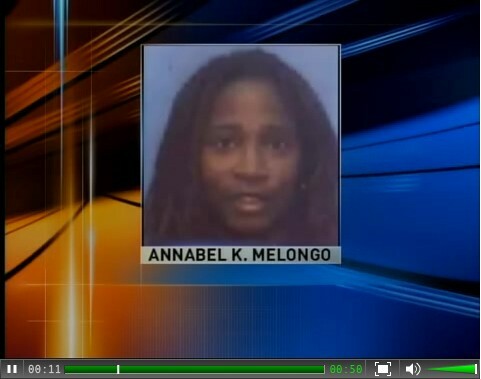 In fact, the only other mainstream media report that has ever been reported about the Melongo case is an interview I gave to a Rockford, IL print weekly in March. It's not that Illinois reporters are unaware of all this. You should see my e-mail "sent" folder. So how much money has this absurd, abusive prosecution -- which the State's Attorney took up in 2006 and which will now be dragging on via an appeal -- cost cash-strapped Illinois taxpayers? Months ago I asked Anita Alvarez's media rep that question. He promised to get back to me with an answer.